“Sāriputta, there are ten Tathāgata-powers, possessed of which a Tathāgata claims his place as leader4, roars his lion’s roar in assemblies, and sets in motion the divine wheel5. What ten? “Here, Sāriputta, a Tathāgata truly6 knows7 what is possible and what is impossible. Sāriputta, that a Tathāgata truly knows what is possible and what is impossible is a Tathāgata-power on account of which a Tathāgata claims his place as leader, roars his lion’s roar in assemblies, and sets in motion the divine wheel. “Furthermore, Sāriputta, a Tathāgata truly knows the result of actions that have been undertaken – past, present, or future – based on circumstances and causes. Sāriputta, that a Tathāgata truly knows the result of actions that have been undertaken – past, present, or future – based on circumstances and causes is a Tathāgata-power on account of which a Tathāgata claims his place as leader, roars his lion’s roar in assemblies, and sets in motion the divine wheel. “Furthermore, Sāriputta, a Tathāgata truly knows the practices that lead to every state of being8. Sāriputta, that a Tathāgata truly knows the practices that lead to every state of being is a Tathāgata-power on account of which a Tathāgata claims his place as leader, roars his lion’s roar in assemblies, and sets in motion the divine wheel. “Furthermore, Sāriputta, a Tathāgata truly knows all the various elements of the world9. Sāriputta, that a Tathāgata truly knows all the various elements of the world is a Tathāgata-power on account of which a Tathāgata claims his place as leader, roars his lion’s roar in assemblies, and sets in motion the divine wheel. “Furthermore, Sāriputta, a Tathāgata truly knows the various dispositions of beings. Sāriputta, that a Tathāgata truly knows the various dispositions of beings is a Tathāgata-power on account of which a Tathāgata claims his place as leader, roars his lion’s roar in assemblies, and sets in motion the divine wheel. “Furthermore, Sāriputta, a Tathāgata truly knows the capacities and abilities of other beings and other people. Sāriputta, that a Tathāgata truly knows the capacities and abilities of other beings and other people is a Tathāgata-power on account of which a Tathāgata claims his place as leader, roars his lion’s roar in assemblies, and sets in motion the divine wheel. “Furthermore, Sāriputta, a Tathāgata truly knows impurity, cleansing, and emergence as regards Jhāna, liberation, concentration, and attainment. Sāriputta, that a Tathāgata truly knows impurity, cleansing, and emergence as regards Jhāna, liberation, concentration, and attainment is a Tathāgata-power on account of which a Tathāgata claims his place as leader, roars his lion’s roar in assemblies, and sets in motion the divine wheel. “Furthermore, Sāriputta, a Tathāgata remembers numerous past lives – one life, two lives, three lives… a hundred lives… a hundred thousand lives… many eons of universal expansion… many eons of universal contraction… many eons of universal expansion and contraction – ‘At that place I had this name, this family, this appearance, this food, this experience of pleasure and pain, this death. Falling from there, I appeared over there, where I had that name, that family, that appearance, that food, that experience of pleasure and pain, that death. Falling from there, I appeared here.’ In this way, he remembers numerous past lives and their characteristics in detail. Sāriputta, this is a Tathāgata-power on account of which a Tathāgata claims his place as leader, roars his lion’s roar in assemblies, and sets in motion the divine wheel. “Furthermore, Sāriputta, with divine vision, which is pure and surpasses human vision, a Tathāgata sees beings falling and appearing – inferior and superior, beautiful and ugly, in good places and bad places; he understands how beings fare according to their actions: ‘These honorable beings engaged in physical, verbal, and mental misconduct; they disparaged noble beings, they held wrong view, and they based their actions on wrong view. When they were separated from their bodies after death, they appeared in deprivation, a bad destination, downfall – hell. However, these honorable beings engaged in good physical, verbal, and mental conduct; they did not disparage noble beings, they held right view, and they based their actions on right view. When they were separated from their bodies after death, they appeared in a good destination – a heavenly world.’ In this way, with divine vision, which is pure and surpasses human vision, he sees beings falling and appearing – inferior and superior, beautiful and ugly, in good places and bad places; he understands how beings fare according to their actions. Sāriputta, this is a Tathāgata-power on account of which a Tathāgata claims his place as leader, roars his lion’s roar in assemblies, and sets in motion the divine wheel. “Furthermore, Sāriputta, with the elimination of the corruptions, a Tathāgata lives having here and now reached the corruption-free mental liberation – liberation by wisdom – having personally realized it with higher knowledge. Sāriputta, this is a Tathāgata-power on account of which a Tathāgata claims his place as leader, roars his lion’s roar in assemblies, and sets in motion the divine wheel. “Sāriputta, these are the ten Tathāgata-powers, possessed of which a Tathāgata claims his place as leader, roars his lion’s roar in assemblies, and sets in motion the divine wheel. “Sāriputta, if one who knows and sees this says about me ‘The contemplative Gotama does not have any superhuman states, nor has he attained any distinction in knowledge and vision that would make him noble. The contemplative Gotama teaches a Dhamma that is the result of thinking, accompanied by investigation, produced by his own eloquence,’ then if that statement is not discarded, that mindset is not discarded, and that perspective is not relinquished, then they will end up in hell as they deserve10. Sāriputta, just as a monk who is accomplished in virtue, concentration, and wisdom will attain final knowledge, I say that this is the attainment: if that statement is not discarded, that mindset is not discarded, and that perspective is not relinquished, then they will end up in hell as they deserve. “Sāriputta, there are four kinds of self-confidence11 which a Tathāgata has, possessed of which a Tathāgata claims his place as leader, roars his lion’s roar in assemblies, and sets in motion the divine wheel. What four? “Sāriputta, if any contemplative, brahmin, deva, māra, brahmā, or anyone in the world tries to criticize me in accordance with Dhamma, ‘While claiming to be fully awakened, you are not fully awakened about these phenomena,’ I do not see any basis12 for that. Sāriputta, because I do not see any basis for that, I live secure, fearless, and self-confident. “Sāriputta, if any contemplative, brahmin, deva, māra, brahmā, or anyone in the world tries to criticize me in accordance with Dhamma, ‘While claiming to have eliminated all corruptions, you have not completely eliminated these corruptions,’ I do not see any basis for that. Sāriputta, because I do not see any basis for that, I live secure, fearless, and self-confident. “Sāriputta, if any contemplative, brahmin, deva, māra, brahmā, or anyone in the world tries to criticize me in accordance with Dhamma, ‘The phenomena which you say are obstacles are not actually obstacles,’ I do not see any basis for that. Sāriputta, because I do not see any basis for that, I live secure, fearless, and self-confident. “Sāriputta, if any contemplative, brahmin, deva, māra, brahmā, or anyone in the world tries to criticize me in accordance with Dhamma, ‘When your Dhamma is taught to someone, it does not lead the one who practices it to the correct elimination of suffering,’ I do not see any basis for that. Sāriputta, because I do not see any basis for that, I live secure, fearless, and self-confident. “Sāriputta, these are the four kinds of self-confidence which a Tathāgata has, possessed of which a Tathāgata claims his place as leader, roars his lion’s roar in assemblies, and sets in motion the divine wheel. “Sāriputta, if one who knows and sees this says about me ‘The contemplative Gotama does not have any superhuman states…’ then they will end up in hell as they deserve. “Sāriputta, there are eight kinds of assemblies. What eight? The assembly of aristocrats13, the assembly of brahmins, the assembly of householders, the assembly of contemplatives, the assembly of the Four Great Kings, the assembly of the Thirty-Three, the assembly of māras, the assembly of brahmas – Sāriputta, these are the eight kinds of assemblies. Sāriputta, possessing these four kinds of self-confidence, a Tathāgata approaches and enters these eight kinds of assemblies. “Sāriputta, I remember having approached several hundred assemblies of aristocrats. There I had sat down with them, spoken with them, and conversed with them. I do not see any basis for the arising of fear or timidity in that situation. Sāriputta, not seeing any basis for that, I live secure, fearless, and self-confident. “Sāriputta, I remember having approached several hundred assemblies of brahmins… householders… contemplatives… the Four Great Kings… the Thirty-Three… māras… brahmas. There I had sat down with them, spoken with them, and conversed with them. I do not see any basis for the arising of fear or timidity in that situation. Sāriputta, not seeing any basis for that, I live secure, fearless, and self-confident. “Sāriputta, there are these four kinds of birth. What four? Birth from an egg, birth from a womb, birth from moisture, and spontaneous birth. Sāriputta, what is birth from an egg? Those beings who are produced and born within an egg – this is called birth from an egg. Sāriputta, what is birth from a womb? Those beings who are produced and born within a uterus – this is called birth from a womb. Sāriputta, what is birth from moisture? Those beings who are born in rotting fish, in a rotting corpse, in rotting food, in a cesspool, or in stagnant water – this is called birth from moisture. Sāriputta, what is spontaneous birth? Devas, hell-denizens, some humans, and some denizens of lower realms – this is called spontaneous birth. Sāriputta, these are the four kinds of birth. “Sāriputta, there are five kinds of destination. What five? Hell, the world of animals, the world of ghosts, the world of humans, and the world of devas. “Sāriputta, I know hell, I know the path that leads to hell, I know the practices that lead to hell; I know how to practice so that, when one is separated from the body after death, one appears in deprivation, a bad destination, downfall – in hell. “Sāriputta, I know the world of animals, I know the path that leads to the world of animals, I know the practices that lead to the world of animals; I know how to practice so that, when one is separated from the body after death, one appears in the world of animals. “Sāriputta, I know the world of ghosts, I know the path that leads to the world of ghosts, I know the practices that lead to the world of ghosts; I know how to practice so that, when one is separated from the body after death, one appears in the world of ghosts. “Sāriputta, I know the world of humans, I know the path that leads to the world of humans, I know the practices that lead to the world of humans; I know how to practice so that, when one is separated from the body after death, one appears in the world of humans. “Sāriputta, I know the world of devas, I know the path that leads to the world of devas, I know the practices that lead to the world of devas; I know how to practice so that, when one is separated from the body after death, one appears in a good destination, in a heavenly world. “Sāriputta, I know Nibbāna, I know the path that leads to Nibbāna, I know the practices that lead to Nibbāna; I know how to practice so that, with the elimination of the corruptions, one may live having here and now reached the corruption-free mental liberation – liberation by wisdom – having personally realized it with higher knowledge. “Sāriputta, using my own mind I might know the mind of a particular person: ‘This person is practicing and behaving in such a way, they have taken on such a path, that when this person is separated from the body after death, this person will appear in deprivation, a bad destination, downfall – in hell.’ Then on a later occasion, using divine vision which is pure and surpasses human vision, I see that when that person was separated from the body after death, they appeared in deprivation, a bad destination, downfall, in hell, where that person is experiencing entirely painful, sharp, and bitter feelings. Sāriputta, it is just as if there was a pit of coals deeper than a man’s height, full of red-hot coals burning without giving off smoke. Then a person comes who is scorched by heat, overwhelmed by heat, exhausted, dehydrated, and thirsty, going along a one-way road that leads to that pit of coals. A person with eyes who saw that would say, ‘Based on how that person is practicing and behaving, based on the path that person has taken, that person will come to this pit of coals.’ Then on a later occasion, they might see that person, fallen in the pit of coals, experiencing entirely painful, sharp, and bitter feelings. In exactly the same way, Sāriputta, using my own mind I might know the mind of a particular person: ‘This person is practicing and behaving in such a way, they have taken on such a path, that when this person is separated from the body after death, this person will appear in deprivation, a bad destination, downfall – in hell.’ Then on a later occasion, using divine vision which is pure and surpasses human vision, I see that when that person was separated from the body after death, they appeared in deprivation, a bad destination, downfall, in hell, where that person is experiencing entirely painful, sharp, and bitter feelings. “Sāriputta, using my own mind I might know the mind of a particular person: ‘This person is practicing and behaving in such a way, they have taken on such a path, that when this person is separated from the body after death, this person will appear in the world of animals.’ Then on a later occasion, using divine vision which is pure and surpasses human vision, I see that when that person was separated from the body after death, they appeared in the world of animals, experiencing painful, sharp, bitter feelings. Sāriputta, it is just as if there was a pit of excrement deeper than a man’s height, full of excrement. Then a person comes who is scorched by heat, overwhelmed by heat, exhausted, dehydrated, and thirsty, going along a one-way road that leads to that pit of excrement. A person with eyes who saw that would say, ‘Based on how that person is practicing and behaving, based on the path that person has taken, that person will come to this pit of excrement.’ Then on a later occasion, they might see that person, fallen in the pit of excrement, experiencing painful, sharp, bitter feelings. In exactly the same way, Sāriputta, using my own mind I might know the mind of a particular person: ‘This person is practicing and behaving in such a way, they have taken on such a path, that when this person is separated from the body after death, this person will appear in the world of animals.’ Then on a later occasion, using divine vision which is pure and surpasses human vision, I see that when that person was separated from the body after death, they appeared in the world of animals, experiencing painful, sharp, bitter feelings. “Sāriputta, using my own mind I might know the mind of a particular person: ‘This person is practicing and behaving in such a way, they have taken on such a path, that when this person is separated from the body after death, this person will appear in the world of ghosts.’ Then on a later occasion, using divine vision which is pure and surpasses human vision, I see that when that person was separated from the body after death, they appeared in the world of ghosts, experiencing predominantly painful feelings. Sāriputta, it is just as if there was a tree on uneven ground with scanty foliage and patchy shade. Then a person comes who is scorched by heat, overwhelmed by heat, exhausted, dehydrated, and thirsty, going along a one-way road that leads to that tree. A person with eyes who saw that would say, ‘Based on how that person is practicing and behaving, based on the path that person has taken, that person will come to this particular tree.’ Then on a later occasion, they might see that person, sitting or reclining in the shade of that tree, experiencing predominantly painful feelings. In exactly the same way, Sāriputta, using my own mind I might know the mind of a particular person: ‘This person is practicing and behaving in such a way, they have taken on such a path, that when this person is separated from the body after death, this person will appear in the world of ghosts.’ Then on a later occasion, using divine vision which is pure and surpasses human vision, I see that when that person was separated from the body after death, they appeared in the world of ghosts, experiencing predominantly painful feelings. “Sāriputta, using my own mind I might know the mind of a particular person: ‘This person is practicing and behaving in such a way, they have taken on such a path, that when this person is separated from the body after death, this person will appear in the world of humans.’ Then on a later occasion, using divine vision which is pure and surpasses human vision, I see that when that person was separated from the body after death, they appeared in the world of humans, experiencing predominantly pleasant feelings. Sāriputta, it is just as if there was a tree on even ground with abundant foliage and deep shade. Then a person comes who is scorched by heat, overwhelmed by heat, exhausted, dehydrated, and thirsty, going along a one-way road that leads to that tree. A person with eyes who saw that would say, ‘Based on how that person is practicing and behaving, based on the path that person has taken, that person will come to this particular tree.’ Then on a later occasion, they might see that person, sitting or reclining in the shade of that tree, experiencing predominantly pleasant feelings. In exactly the same way, Sāriputta, using my own mind I might know the mind of a particular person: ‘This person is practicing and behaving in such a way, they have taken on such a path, that when this person is separated from the body after death, this person will appear in the world of humans.’ Then on a later occasion, using divine vision which is pure and surpasses human vision, I see that when that person was separated from the body after death, they appeared in the world of humans, experiencing predominantly pleasant feelings. “Sāriputta, using my own mind I might know the mind of a particular person: ‘This person is practicing and behaving in such a way, they have taken on such a path, that when this person is separated from the body after death, this person will appear in a good destination, in a heavenly world.’ Then on a later occasion, using divine vision which is pure and surpasses human vision, I see that when that person was separated from the body after death, they appeared in the world of devas, experiencing entirely pleasant feelings. Sāriputta, it is just as if there was a palace with a peaked roof, plastered walls, impervious to wind, with lockable doors and shutters on the windows. In it there is a couch covered in cowhide, wool, embroidered blankets, and deer-hide blankets, with a canopy overhead and red pillows on both sides. Then a person comes who is scorched by heat, overwhelmed by heat, exhausted, dehydrated, and thirsty, going along a one-way road that leads to that palace. A person with eyes who saw that would say, ‘Based on how that person is practicing and behaving, based on the path that person has taken, that person will come to this particular palace.’ Then on a later occasion, they might see that person in that peaked-roof palace, sitting or reclining on the couch, experiencing entirely pleasant feelings. In exactly the same way, Sāriputta, using my own mind I might know the mind of a particular person: ‘This person is practicing and behaving in such a way, they have taken on such a path, that when this person is separated from the body after death, this person will appear in a good destination, in a heavenly world.’ Then on a later occasion, using divine vision which is pure and surpasses human vision, I see that when that person was separated from the body after death, they appeared in a good destination, in a heavenly world, experiencing entirely pleasant feelings. “Sāriputta, using my own mind I might know the mind of a particular person: ‘This person is practicing and behaving in such a way, they have taken on such a path, that with the elimination of the corruptions they will here and now reach and dwell in the corruption-free mental liberation – liberation by wisdom – having personally realized it with higher knowledge.’ Then on a later occasion, using divine vision which is pure and surpasses human vision, I see that, with the elimination of the corruptions, that person has here and now reached the corruption-free mental liberation – liberation by wisdom – having personally realized it with higher knowledge, and is experiencing entirely pleasant feelings. Sāriputta, it is just as if there was a delightful lotus pond with clean, pleasant, and cool water, transparent, with good beaches, not far from a dense grove of trees. Then a person comes who is scorched by heat, overwhelmed by heat, exhausted, dehydrated, and thirsty, going along a one-way road that leads to that lotus pond. A person with eyes who saw that would say, ‘Based on how that person is practicing and behaving, based on the path that person has taken, that person will come to this particular lotus pond.’ Then on a later occasion, they might see that person, who after plunging into the lotus pond, bathing, drinking, and alleviating all distress, exhaustion, and fever, emerged from the pond and is sitting or reclining in the grove of trees, experiencing entirely pleasant feelings. In exactly the same way, Sāriputta, using my own mind I might know the mind of a particular person: ‘This person is practicing and behaving in such a way, they have taken on such a path, that with the elimination of the corruptions they will here and now reach and dwell in the corruption-free mental liberation – liberation by wisdom – having personally realized it with higher knowledge.’ Then on a later occasion, using divine vision which is pure and surpasses human vision, I see that, with the elimination of the corruptions, that person has here and now reached the corruption-free mental liberation – liberation by wisdom – having personally realized it with higher knowledge, and is experiencing entirely pleasant feelings. “Sāriputta, I remember that I lived the four-factor spiritual life14 – I was an ascetic15, supremely ascetic; I was coarse, supremely coarse; I was careful, supremely careful; I was secluded, supremely secluded. “Sāriputta, this was my asceticism: I went without clothing, rejecting normal behavior, licking my hands, not coming when invited to come or staying when invited to stay, not accepting what was brought for me or designated for me or that I was specifically invited for. I did not receive food from the mouth of a pot, from the mouth of a basket, across a threshold, across a stick, across a pestle, from two people eating, from a pregnant woman, from a nursing woman, from a woman among men, from a gathering of famous people16, from a place where dogs stay, from a place where flies are clustered; I did not eat fish or meat, I did not drink liquor, wine, or beer; I went to only one house and ate only one portion, or I went to two houses and ate only two portions… or I went to only seven houses and ate only seven portions; I lived on one offering a day, or two offerings a day… or seven offerings a day; I ate only once a day, or once every two days… or once every seven days; in this way, I practiced eating at specific intervals, even to the point of eating only once per fortnight. I ate only vegetables, or only millet, or only grain, or only sinew, or only moss, or only rice-bran, or only foam from cooking-pots, or only sesame seeds, or only grass, or only cow-dung, or I lived on roots and fruits gathered in the forest, or I lived on fruit fallen from trees. I wore hemp-cloth, or hemp blends, or cloth taken from corpses, or discarded rags, or tree-bark, or an antelope hide, or pieces of antelope hide, or woven grass, or cloth made from bark, or cloth made from wood, or a blanket made of human hair, or a blanket made of horse hair, or owl-wings. I pulled out my beard, I was committed to pulling out my beard; I stood continuously, I refused to sit; I squatted continuously, I was committed to the exertion of squatting; I used a mattress of thorns, I slept on a mattress of thorns; I was committed to bathing three times a day, even in the evening. In this way, I was committed to many ways of tormenting17 the body. “Sāriputta, this was my coarseness: for years I allowed dirt and mud to accumulate on my body, like the bark of a tree. Sāriputta, just as the trunk of a Tindukā tree accumulates bark over the years, in the same way, for years I allowed dirt and mud to accumulate on my body, like the bark of a tree. Sāriputta, I never thought, ‘I could rub this dirt and mud off with my hands, or someone else could rub this dirt and mud off with their hands.’ Sāriputta, I never thought this. Sāriputta, this was my coarseness. “Sāriputta, this was my carefulness: I was mindful when moving forward and mindful when moving backward, with compassion established in me even towards a drop of water, thinking ‘May I not bring harm to the tiny beings who live in uneven ground.’ Sāriputta, this was my carefulness. “Sāriputta, this was my seclusion: I entered and lived in a particular wilderness domain. When I saw a cow-herder or a shepherd or a grass-collector or a wood-gatherer or a forest worker, then I would flee from grove to grove, from jungle to jungle, from valley to valley, from plateau to plateau. For what reason? So that they would not see me and I would not see them. Sāriputta, just as a wild animal, when it sees a human, flees from grove to grove, from jungle to jungle, from valley to valley, from plateau to plateau, in the same way, Sāriputta, when I saw a cow-herder or a shepherd or a grass-collector or a wood-gatherer or a forest worker, then I would flee from grove to grove, from jungle to jungle, from valley to valley, from plateau to plateau. For what reason? So that they would not see me and I would not see them. Sāriputta, this was my seclusion. “Sāriputta, when there was a cow-shed with cows inside and the cowherd had left, then I would approach on all fours and feed on the cow-dung left by young nursing calves. Sāriputta, as long as my own urine and excrement did not run out, I lived on my own urine and excrement. Sāriputta, this was my practice of eating filth. “Sāriputta, I slept in cemeteries next to bones. Cowherd boys would approach me and spit on me, urinate on me, scatter dirt on me, and put sticks in my ears. However, Sāriputta, I do not recall ever producing a harmful mindstate about them. Sāriputta, this was my practice of equanimity. “Sāriputta, there are some contemplatives and brahmins who profess this perspective: ‘Purity comes through food.’ They say, ‘We will live on kola18.’ They eat kola, they eat powdered kola, they drink kola juice – they enjoy many kinds of kola products. Sāriputta, I recall my food was just one kola [per day]. Sāriputta, it is possible that they might think, ‘At that time kola must have been very large.’ Sāriputta, this is not the way to see it; at that time kola was no bigger than it is now. Sāriputta, by eating just one kola [per day], my body became extremely emaciated. Because of eating so little, my limbs became like old, weathered stalks; my buttocks became like a camel’s hoof; my spine protruded like a string of beads; my ribs stuck out like the broken rafters of an old run-down house; my eyes glittered deep in my eye-sockets like water at the bottom of a deep well; my scalp became as wrinkled and withered as a soft gourd left in the wind and sun. Sāriputta, if I wished to touch my stomach, I could feel it through my back; if I wished to touch my spine, I could feel it through my abdomen. Sāriputta, because of eating so little, my stomach stuck to my spine. Sāriputta, because of eating so little, I would fall over when I tried to defecate or urinate. Sāriputta, because of eating so little, the roots of my body-hairs were so rotten that if I rubbed my limbs in order to soothe my body, the hair would fall out. “Sāriputta, there are some contemplatives or brahmins who profess this perspective: ‘Purity comes through food.’ They say, ‘We will live on beans… sesame seeds… rice…’ …because of eating so little, the roots of my body-hairs were so rotten that if I rubbed my limbs in order to soothe my body, the hair would fall out. “Sāriputta, I did not attain any superhuman states or any distinction in knowledge and vision that would make me noble by engaging in these behaviors, these practices, and these austerities19. For what reason? Because I did not reach any noble wisdom – the noble wisdom which, once reached, is a noble guide which guides its enactor to the correct elimination of suffering. “Sāriputta, there are some contemplatives or brahmins who profess this perspective: ‘Purity comes through saṁsāra.’ Sāriputta, it is not easy to find any state of being in Saṁsāra which I had not previously experienced during this long cycle of existence, except for the Pure-Abode20 Devas. Sāriputta, had I experienced existence as a Pure-Abode Deva, I would not have returned to this world. “Sāriputta, there are some contemplatives or brahmins who profess this perspective: ‘Purity comes through rebirth.’ Sāriputta, it is not easy to find any rebirth which I had not previously been reborn as during this long cycle of existence, except for the Pure-Abode Devas. Sāriputta, had I been reborn as a Pure-Abode Deva, I would not have returned to this world. “Sāriputta, there are some contemplatives or brahmins who profess this perspective: ‘Purity comes through living.’ Sāriputta, it is not easy to find any life in Saṁsāra which I had not previously lived during this long cycle of existence, except for the Pure-Abode Devas. Sāriputta, had I lived as a Pure-Abode Deva, I would not have returned to this world. “Sāriputta, there are some contemplatives or brahmins who profess this perspective: ‘Purity comes through sacrifice.’ Sāriputta, it is not easy to find any sacrifice in Saṁsāra which I had not previously sacrificed during this long cycle of existence, when I was a royal anointed king or a wealthy brahmin. “Sāriputta, there are some contemplatives or brahmins who profess this perspective: ‘Purity comes through fire-worship.’ Sāriputta, it is not easy to find any fire in Saṁsāra which I had not previously worshiped during this long cycle of existence, when I was a royal anointed king or a wealthy brahmin. This is what the Blessed One said. Satisfied, Venerable Nāgasamāla delighted in the Blessed One’s speech. 1 Dhamma-Vinaya. Lit. “Teaching and Training.” This is the term most often used in the Pāli canon to refer to Buddhism. 5 Brahma-cakka. 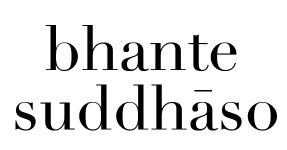 An unusual expression, as we normally see “Dhamma-cakka” instead. 13 Khattiya. The caste of warrior-nobles, responsible both for ruling and for combat. 14 Caturaṅgasamannāgataṁ brahmacariyaṁ. Apparently a commonly recognized practice among non-Buddhist contemplatives at the time. 16 Saṅkitti. From saṁ (together) + kitti (fame). There is some debate as to the precise meaning of this term as it appears only in this context. 18 This may refer to jujube (a small fruit that grows in India and China).